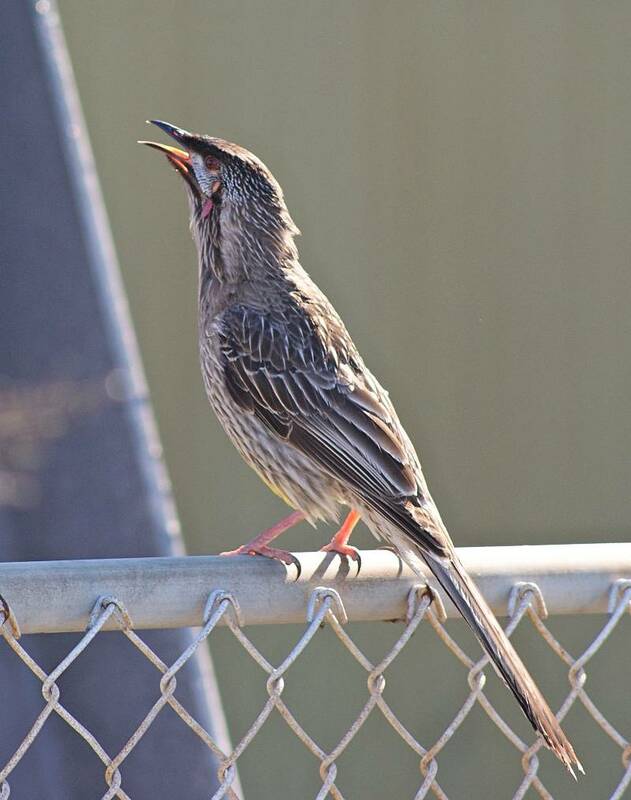 Red Wattlebirds are large honeyeaters and common across much southern Australia. 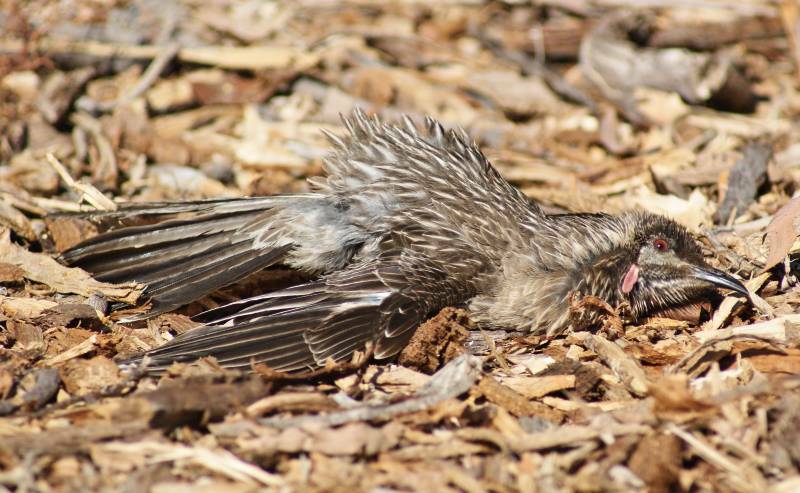 They are related to the smaller Little Wattlebird, but are larger (32-36 cm) and lighter in colour with distinctive red skin patches at the base of the cheeks. They are quite noisy with a call likened to "tobacco-box-choc". They feed on insects, nectar and on fruit and can be found in a range of habitats including gardens. There are three races, carunculata in the east, woodwardi in the west and clelandi on Kangaroo Island. The first photo is of ssp. carunculata, which has a longer tail and is slightly larger, while the second is ssp. woodwardi having an ant bath where the bird lays over ants and they spray formic acid, which kills parasites in the feathers. 1: Port Kembla, NSW, 09/08/2010. 2: King's Park, Perth, WA, 02/12/2011.